Keep the weather in mind. Dress in easy to remove layers under costumes so that little ones are not cold. Also, it never hurts to bring along an umbrella! Bulky costumes can be difficult for children to walk in. One good fall can spoil the Halloween party at school or Halloween night! Make sure costumes are light and made of a material that allows children's skin to breathe so that they are not sweaty and cold. Check masks. Clean them before your child wears them. Lots of children could have tried on the same mask! Check to make sure that your child can breathe easily and see properly. Even if the mask has air holes, it does not mean holes are large enough or in the correct locations for them to see clearly and get enough air. Younger children should always go up to the door with an adult. Not everyone understands that young children can scare easily and it can spoil the night. Having an adult nearby is comforting. Only visit houses that have the lights on. If a house is dark, it's a sure sign that they do not want to be bothered. Have children wear reflectors, give your child their own flashlight or have them wear a glow necklace. You should always have your own flashlight for areas that are not well lit or for emergency situations. Stay on sidewalks and only walk across streets at crosswalk locations, if possible. Never let children eat treats until packages are checked by an adult! Discuss this rule in advance. 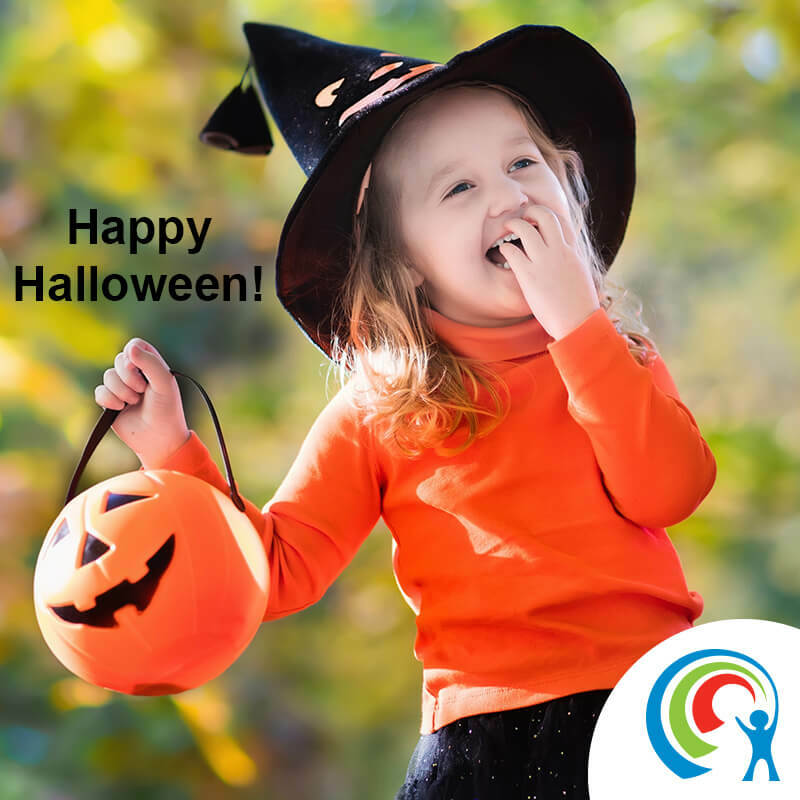 For very young children, dump the candy into a large bag that you carry and leave them with a couple of items to keep them happy. While Halloween is fun and brings neighborhoods together, it is important to tell your children that the night will be fun if everyone abides by the rules and stays safe! Remind them that it is never alright to talk or take candy from a stranger when you are not there and that it is NEVER permissible to travel with a stranger. Make sure to tell your child that what you are explaining is for safety reasons and not to frighten him or her. We hope that these tips help make Halloween more safe and enjoyable for your little princess or superhero, and that they help to build happy memories that last a lifetime.